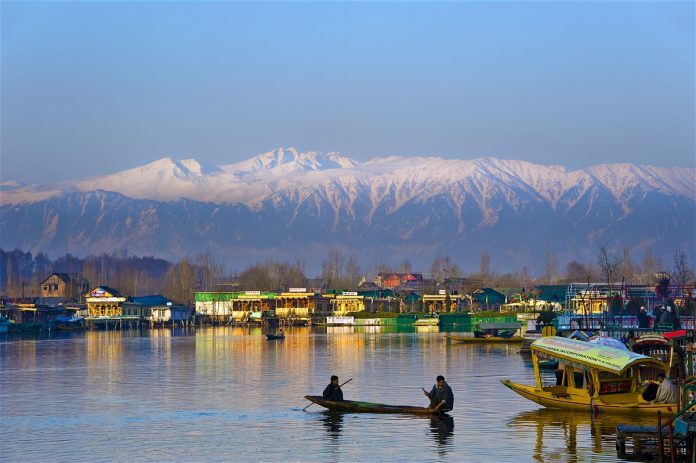 Srinagar is one of the most popular destinations across India. This summer capital of the land of Kashmir offers you the perfect holiday package complemented with picturesque views, excellent weather and warm hospitality. Enjoy the magnificence of nature and experience heaven on earth. Don’t miss out on the incredible Shikara boat ride. When there, explore Hari Parbat and check out Tulip Garden, Shalimar Bagh, Pari Mahal, and Chashme Shahi. If you’re not in a hurry, also visit Hazratbal Shrine. Though it can be explored as a solo traveller, I suggest you take your loved ones along for the best group trip. Ditch Goa and visit the most enchanting island in Andaman, the Havelock Island. A beloved travel destination for many couples and families, this place offers exceptional underwater adventures like snorkeling, divine seafood and cherishable beach memories that will last for a lifetime. If you’re in love with the life at sea, enjoy a dive at the Elephant beach. Make sure you get to spend time at the Vijaynagar Beach, Kalapathar Beach, Sitapur Beach, Radhanagar Beach, Elephant Beach and Laxmanpur Beach. Plan a fun vacation with your family to this exotic island. Get enchanted by the beauty of nature when in Coorg, also known as Kodagu. Let the rich, green coffee plantations, the historic forts, the breathtaking waterfalls and the ancient churches mesmerize you. Coorg is a holiday destination that has something to offer everyone who visits it. Double the adventure of your trip by going for the Jungle safari at Nagarhole National Park. Quench your thirst for natural flowing waters by visiting the Abbey Falls and Iruppu Falls. Plan an escapade with your friends or treat your family to a fabulous vacation to this place. Explore culture and colours in the land of Kutch. A district with more than 900 villages, it is one of the best places to experience the rural life in India. The wide stretches of the White Desert, the camel ride at the Mandvi Beach and experiences at the Kutch Museum and Archaeological Museum will completely captivate you. Booming with some of the leading Buddhist pilgrimage sites and population, Gangtok is a must-visit destination for adventure geeks and trekking enthusiasts. Imagine experiencing the grandeur of the mighty Himalayas with your own eyes. Amazing, right? Besides the heavy physical activities, one can find themselves delighted while shopping at the local markets or visiting the Enchey Monastery, Rumtek Monastery, Tinkitam Rayong, Do Drul Chorten, Tsomgo Lake and Ban Jhakri Falls. Continue falling in love with the beauty of mountains by visiting this hill station. The place is a favourite of families with a plethora of places to visit like the Botanical Garden, Doddabetta Viewpoint, St. Stephen’s Church, Rose Garden, Pykara Lake, and the Boat House. Add more adventure to your trip by taking a toy train from Mettupalayam to Ooty. Securing a spot in the top ten family holiday destinations is Nainital which considered to be one of the best places to be visited during summers. Your vacation to this place is far from boring with activities like evening boat ride at Nainital lake, cable car rides to Snow View, birdwatching at Sattal and a memorable trek to the Tiffin Top. Shillong welcomes many national and international tourists throughout the year. Popular as “the abode of clouds”, this place has everything to set your mood. Right from the scenic extravagance to a number of local attractions, Shillong seems to the perfect place for a calm getaway. Don’t forget to witness the beauty of lush gardens, heavenly waterfalls and experiences wrapped in traditions. When there, definitely visit the Lady Hydari Park, Umiam Lake, Shillong Peak, Ward’s Lake, Don Bosco Museum, Mawsynram and more for a good time. Make your vacations special only in India!